This is a review of the current understanding of the pathophysiology behind the development of daytime hypercapnia in a subset of obese patients. It provides an overview of the recent evidence to guide physicians in the diagnosis and treatment of patients with obesity hypoventilation syndrome (OHS). 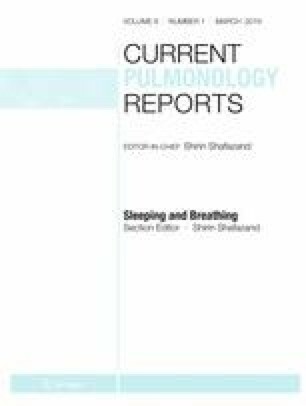 OHS results from a complex interplay between obesity-related changes in respiratory mechanics, sleep-disordered breathing, changes in central ventilatory drive, and neurohormonal changes. Diagnosis is important given the associated morbidity, but reliance on a single measurement of PaCO2 on the arterial blood gas has been questioned. Positive airway pressure (PAP) has been shown to improve gas exchange, sleep-disordered breathing, and symptoms in OHS, and is an effective therapy. More recent studies have not shown bilevel positive airway pressure or volume-targeted pressure support to be superior to CPAP in treating stable OHS, but NIV treatment studies are limited by variability in the settings used. The development of daytime hypercapnia in a subset of obese patients is multifactorial. Phenotyping OHS patients can allow for individualization of therapies. Further long-term longitudinal studies exploring varying severities and clinical phenotypes of OHS are needed. There is also a need for additional studies to guide providers on the optimal PAP settings in OHS. Bernie Sunwoo declares no conflict of interest.